And I got there late. But it’s not every day you see a 12k mile 03 reg Mitsubishi EVI VIII FQ 300 motor past the block. This one bid to £21,400, which wasn’t what was wanted but would be considered. In the same hall a 34k mile 99T Alfa 2.0TS Spider bid to a modest £6,550; a tasty facelift 98S C240 Sport estate auto with leather and 51k unwarranted sold for £8,200; a not very nice 37k unwarranted Space Wagon 2.0GDI GLS auto with a towbar sold for a strong £8,050; a 52k unwarranted 99T Shogun 2.8GLSTD SWB made a healthy £8,250, an older 95k unwarranted 95M Shogun 2.8GLSTD LWB auto made £5,825; a 7k warranted 2002/52 Honda S2000GT (with the hardtop) bid to £19,300 provisional; and a 29k mile 2001Y LHD Smart Pulse sold for the usual £3,450. In other halls, a very smart 23k mile 2001/51 BMW X5 3.0i Sport in a nice colour but without leather bid to £27,200; a 42k mile 2000W Renaultsport Clio 172 sold for £6,650; a 64k mile 2000V Toledo 1.8 20v SE sold for a strong £4,700; a 109k 2000X Leon 2.0VT Sport sold for a very strong £4,900; a 25k mile 2001/51 Golf V5 sold for £9,000; an 81k mile new shape 2000X Volvo V70 170PS manual sold for £8,400; and bargain of the day was a 109k mile 99T BMW 323iSE, gone for just £6,650. And finally, just how often do you spot a Toyota Prius at auction? 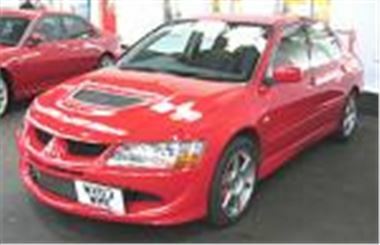 This was a 2001X with 32k miles and because they’re not booked needed a bit of help from the auctioneer to reach £6,450 unsold. So will probably be back in the next Leaseplan sale.